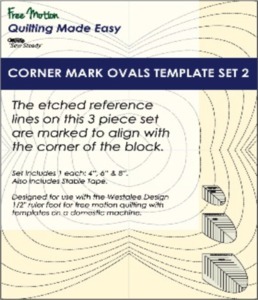 Corner Mark Ovals 3 piece set 8'',6'', and 4 ''. The etched reference lines are marked to align with the corner of the block. Marked in 1/4" increments. These fabulous tools can be used to create many new designs.